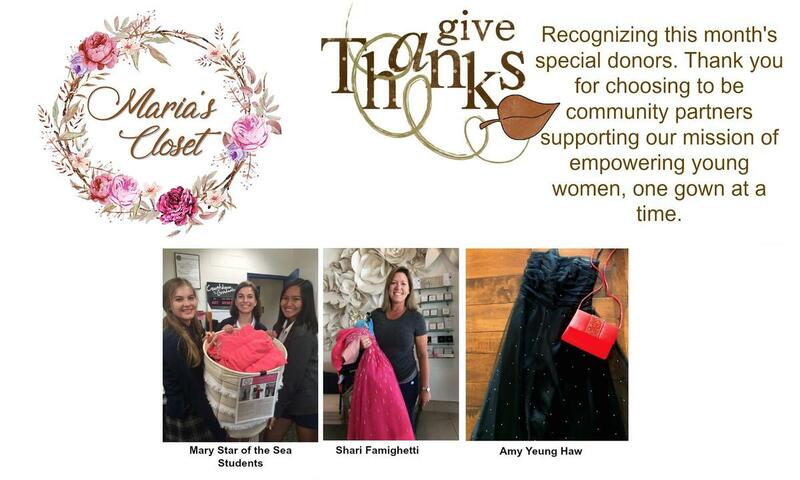 Mary Star of the Sea High School has been supporting Maria’s Closet and has been recognized for their efforts. Maria's Closet seeks to create partnerships with individuals, corporations and social organizations to host dress drives for young women in our community. The dresses that they receive allow them to attend their senior prom. They provide to those in need: free new or nearly new formal wear, accessories, hair and make-up for Prom in a fun, carefree environment that inspires today’s young women to experience Prom with confidence. Young women candidates are referred to Maria’s Closet through social workers, guidance counselors, after school organizations such as the Boys & Girls Club, or other school representatives. 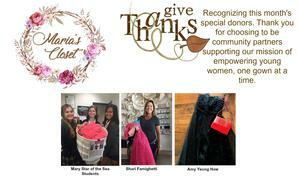 Mary Star of the Sea High School has been taking donations of dresses and are grateful for those who have participated. If you have any dresses that you think may help the cause, feel free to drop them off at the MSHS front office. Prom dresses in all sizes from 0 to 30 are needed. They accept new and gently-used, prom-appropriate dresses. Please donate dresses that are current, at present they are accepting donations for dresses made from 2008 to 2018. Before donating, please check your dress for signs of irreversible wear and tear. All dresses must be in good condition, cleaned and on a hanger (unless mailing dresses to Maria's Closet).